Photo 63 of 195 - U12 Boys B Team. Back row: Oliver, James(Capt), Edward, Henry, Jack Front: Hamish, Tom(goalie), Arthur. Feb 2014. U12 Boys B Team. 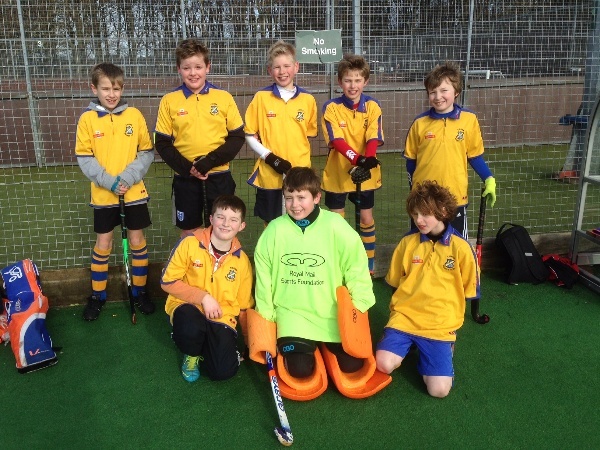 Back row: Oliver, James(Capt), Edward, Henry, Jack Front: Hamish, Tom(goalie), Arthur. Feb 2014.